The extensiveness of Moro raids along the shorelines of Visayas in the 17th and 18th centuries, is evidenced by the surviving “cotta” (watch towers) built along the coast of Panay. 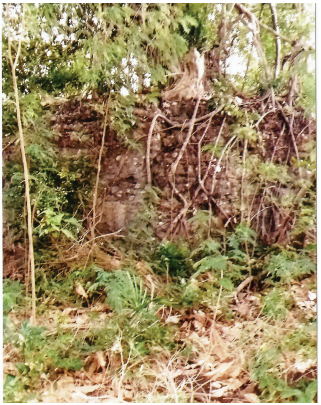 One such “cotta” is still found in Baybay Norte, estimated to have been built in the mid-18th century. Made of coral shells and limestones, the Baybay Norte Kuta has been documented as one of the significant and successful Moro watchtowers used during the rampant pirate raids in Miagao. The Miagaowanons experienced the first pirate raid in 1741, twenty-five years after Miagao became a town. The raiders landed in Sitio Buwang, an area near the mouth of the Miagao River and was able to burn the town’s first church located in Ubos. The biggest raid, however, took place on May 7, 1754. Riding on 21 boats, the pirates landed at Baybay Norte and swarmed into the town. The Miagaowanons, under the leadership of Spanish Officer Jose Echevarria, repulsed the raiders and drove them back to their boats. The Moro raids served as the inspiration of the Salakayan Festival which started in 1998. The least well-known of the “Cottas” in Miagao is located in Barangay Kirayan Norte, 120 m. west of the National Highway and 3 kms. away from the town proper. 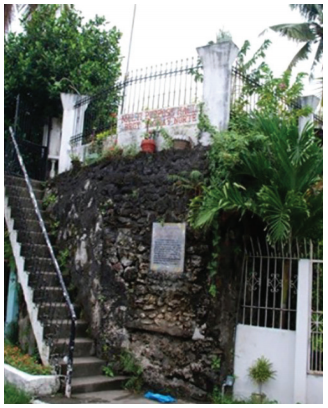 It used to be a 30-foot watchtower made of bricks and corals located at the highest peak of the barangay, that offered a clear view of Muslim invaders coming in sailboats from the sea. Today the tower is barely seen, hidden among the roots of a century-old balete tree and other surrounding trees and thick bushes.